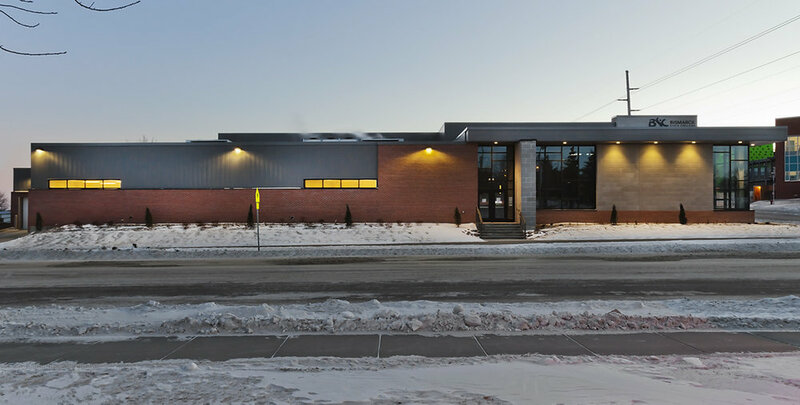 Projects - Bismarck State College Student Union Addition and Renovation — Übl Design Group, P.C. 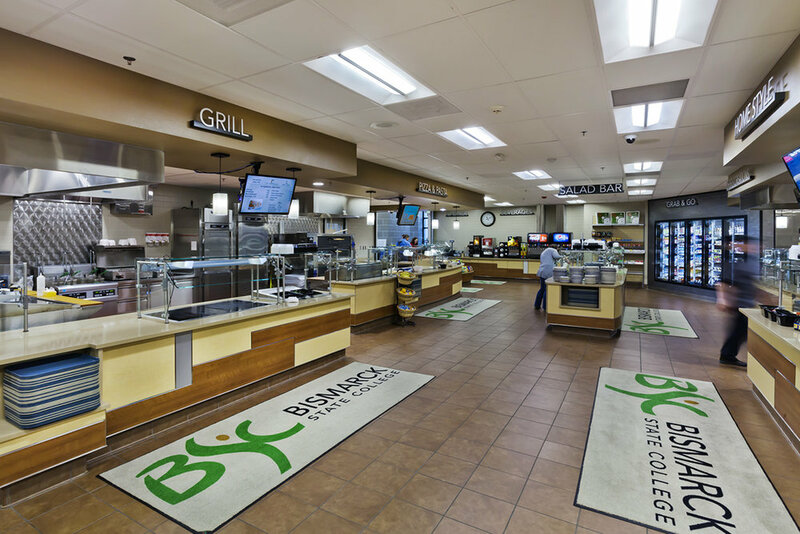 With the tremendous growth and change at Bismarck State College (BSC) in recent years, a pressing need arose for a Student Union that was both larger and more relevant to student needs. Listening to the user groups of the Student Union, such as Food Service, Bookstore, Student Life and Campus Information and of course, the students. Übl Design Group met with leaders and staff from each department to gather information and listen to their thoughts. Identifying functional issues, practical needs and design objectives. Each department had a different, and often conflicting, perspective. Übl Design Group consolidated the information from the listening sessions and developed them into specific design goals. Developing concept designs and preliminary budgets. The collected information was transformed into concepts reflecting the needs, vision and expectations of the various stakeholders. With this focus, a realistic and complete budget for the project was established. The food service experience was overhauled with completely new cooking, serving and dining areas. A flexible seating scheme allows students to eat anywhere in the Student Union. 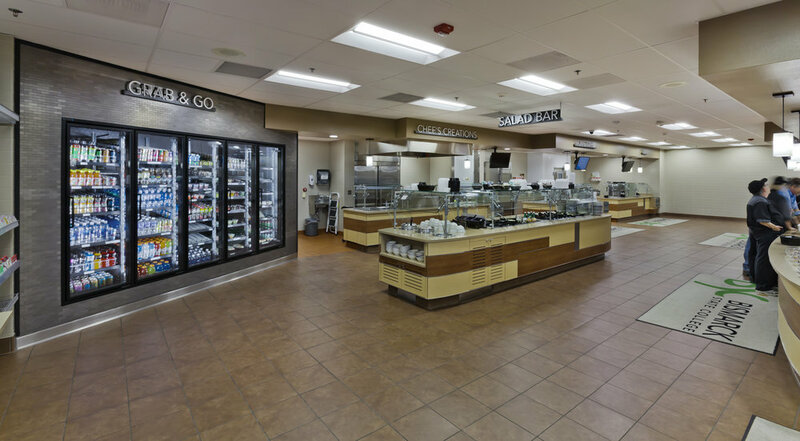 With these changes, the new Mystic Marketplace dining center is able to offer a wider variety of food options and more relevant meal plans. The Bookstore was moved from a basement to the ground level, adjacent to the main entrance. This means easier access, additional window display space and more natural light. Student Life was placed at the heart of the building so students are able to use the Student Union as the "campus living room" it was always intended to be. 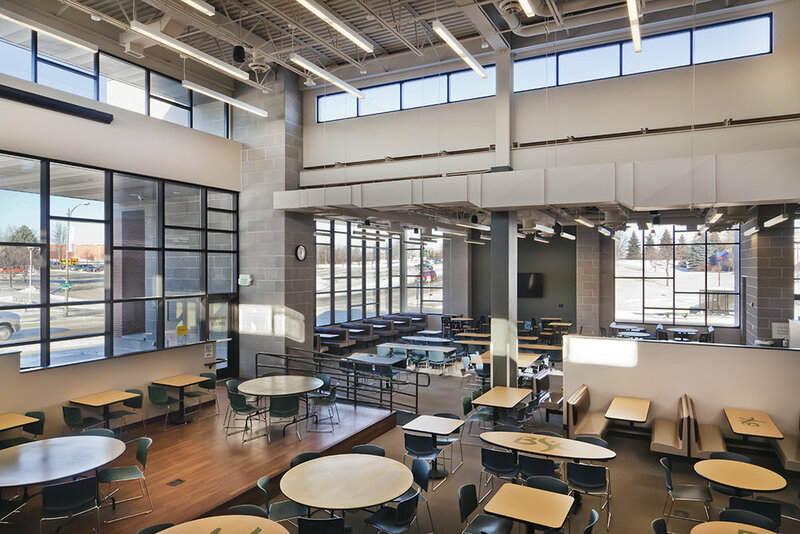 Glass curtain walls were used to open the building to views of the main campus intersection and allow more natural light. Along with the glass, stone and brick were selected to complement the 1970s modernist palette of the existing campus buildings. 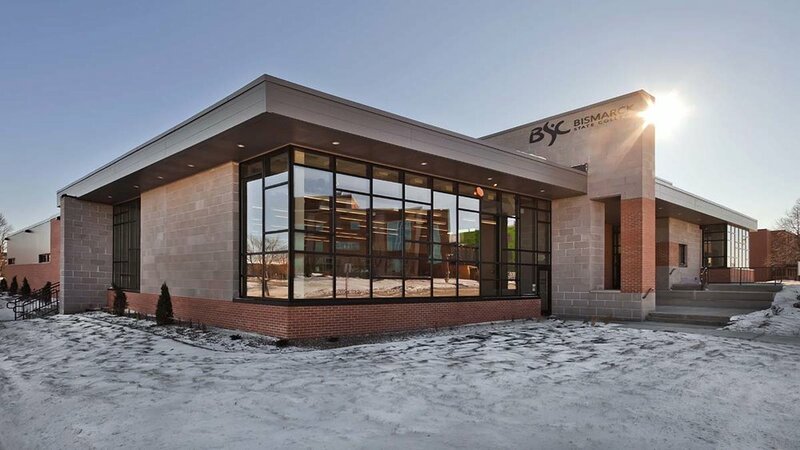 With its new and revitalized spaces, attractive materials and prominent location, the Student Union will serve as a “front door,” welcoming students and visitors to the BSC campus.